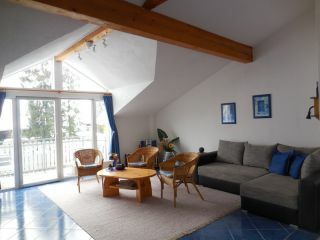 In our newly renovated holiday house with 78 m², it accommodates up to four people live very comfortably. 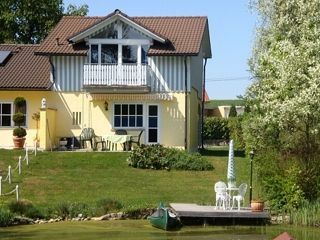 Very quiet and idyllic location on a small pond, it offers pure, with two terraces, balconies and garden holiday feeling. Here you can -over water- sitting on a small dock can, at a snack and a glass of wine relax the soul.